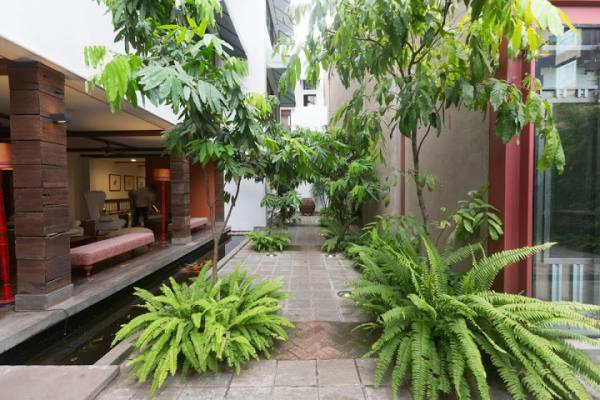 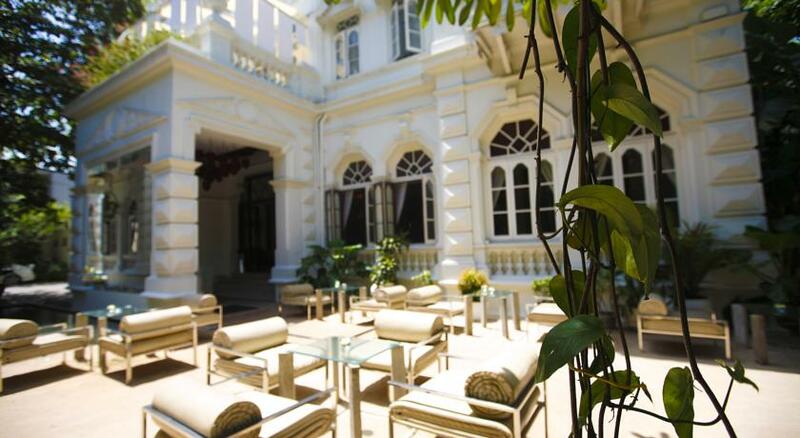 Colombo Courtyard is an extraordinary place. 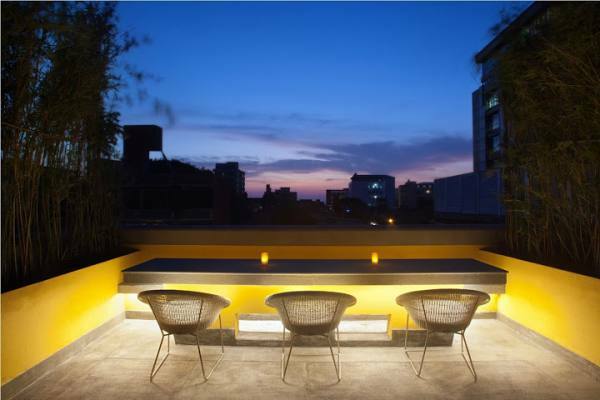 Nestled in the heart of the city, this urban boutique hotel perfectly captures a fusion of contemporary style with the essence of environmental design. 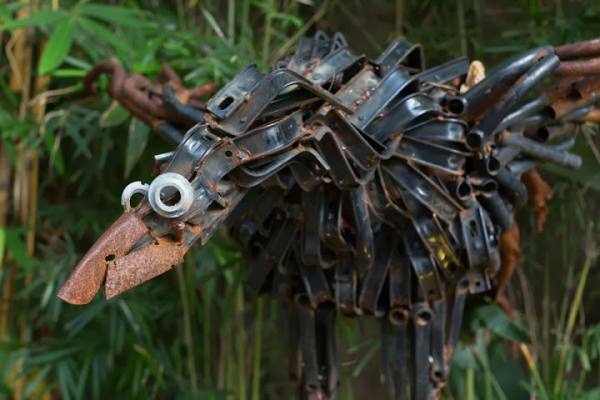 Art and elements with the extensive use of recycled material, dashes of vivid color and a sense of space are all thrown together to create striking impact. 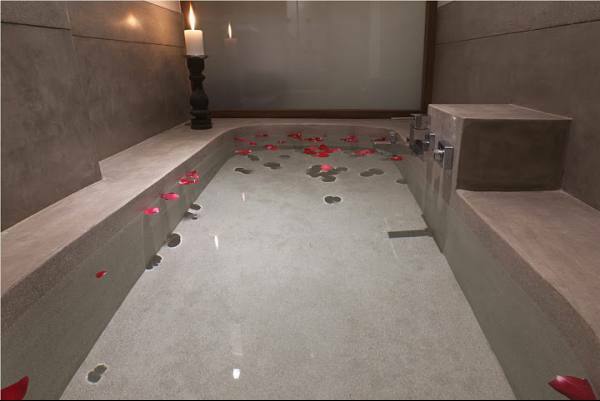 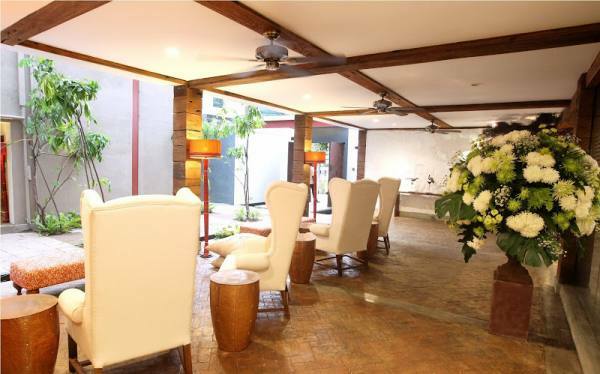 With a water filled courtyard at its entrance, 32 rooms which includes 15 Suites – each uniquely designed, 2 dining areas, a bar, a wine cellar, a library, Jacuzzi, plunge pool and newly opened Spa & Gymnasium. 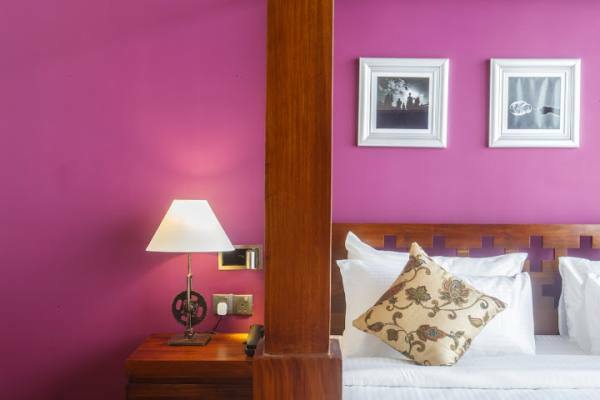 It is still the artistic elements that are most attention grabbing from any aspect of this hotel. 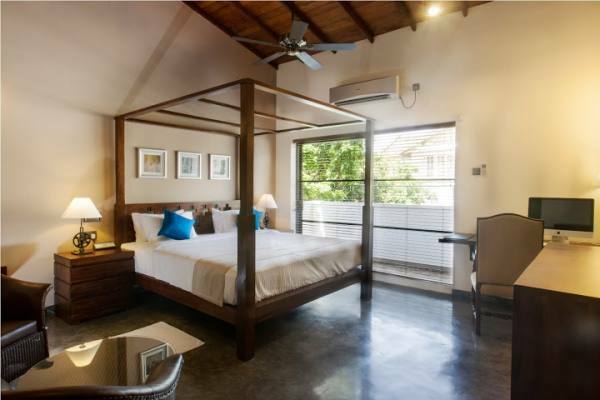 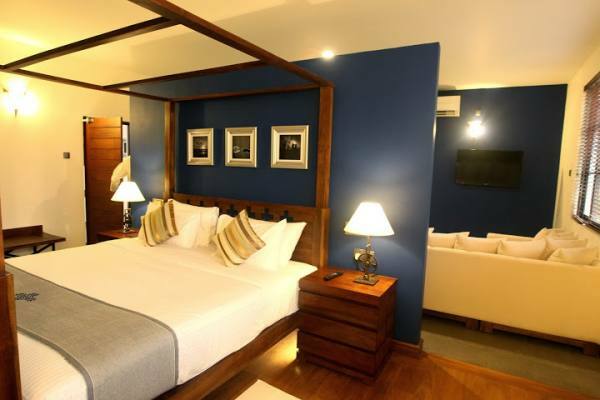 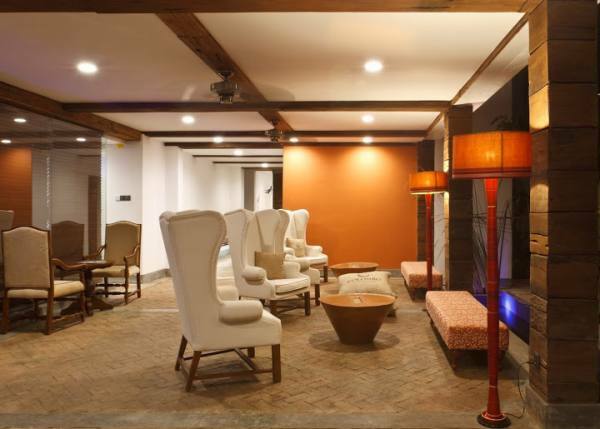 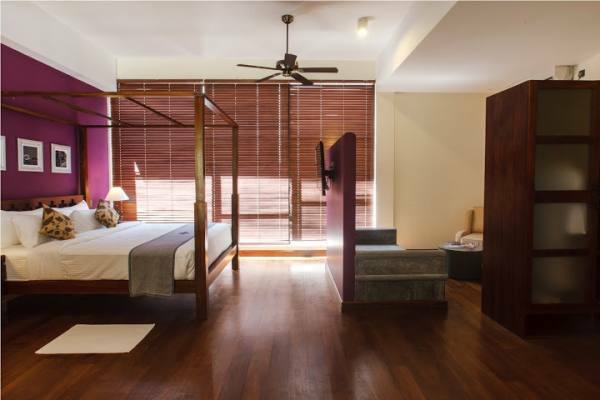 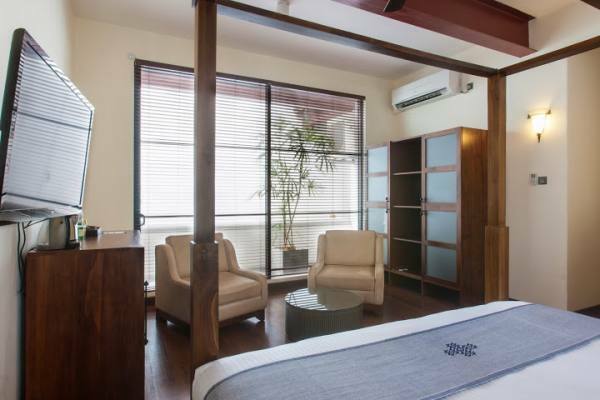 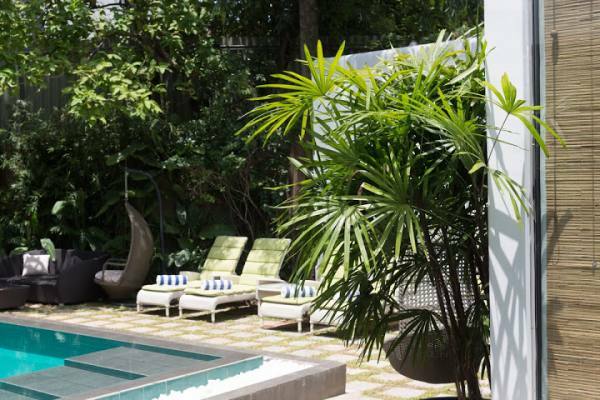 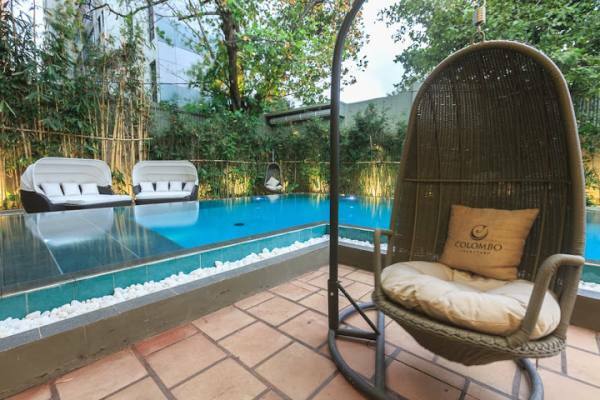 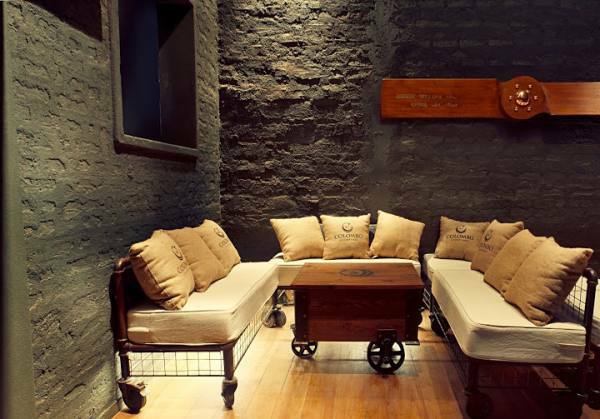 This one of a kind boutique hotel is crafted by environmental designer Sunela Jayawardene. 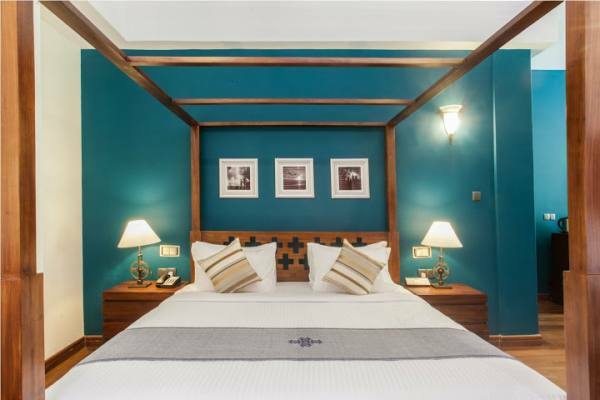 In her trademark style, she matches local minimalism with luxurious features of International class – a feat she seems to achieve effortlessly. 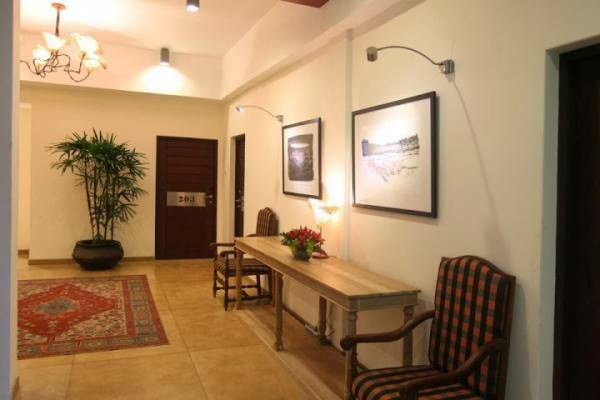 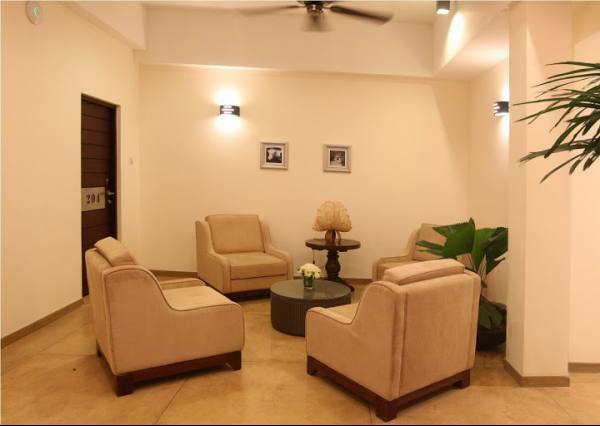 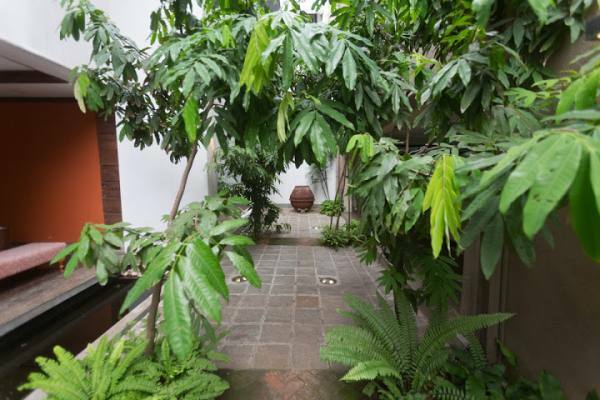 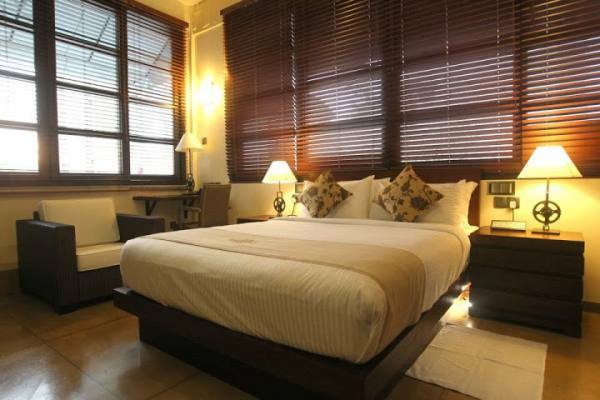 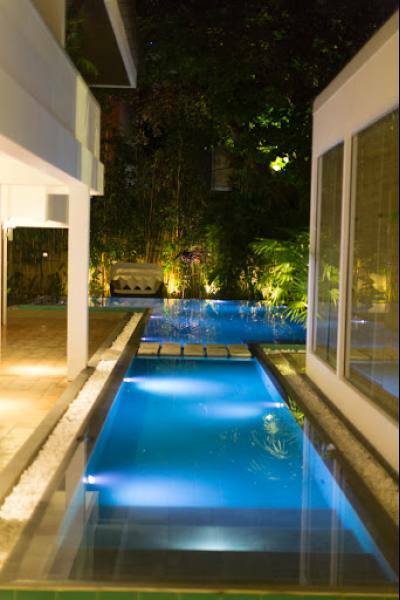 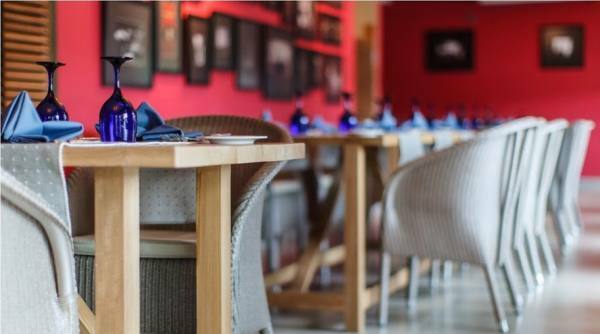 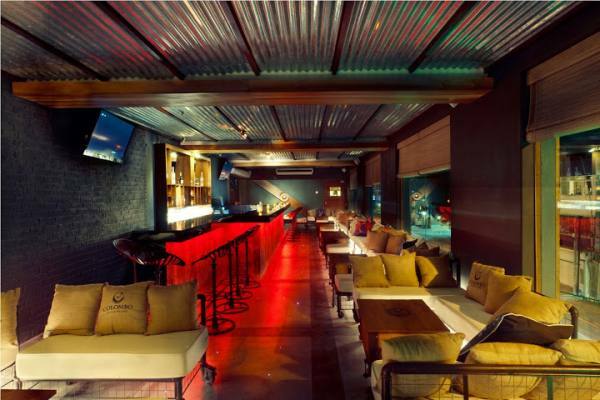 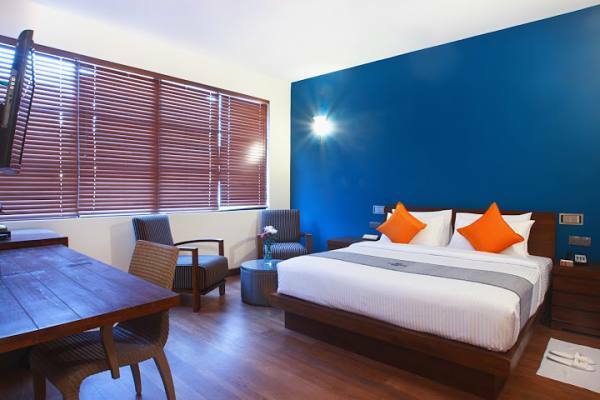 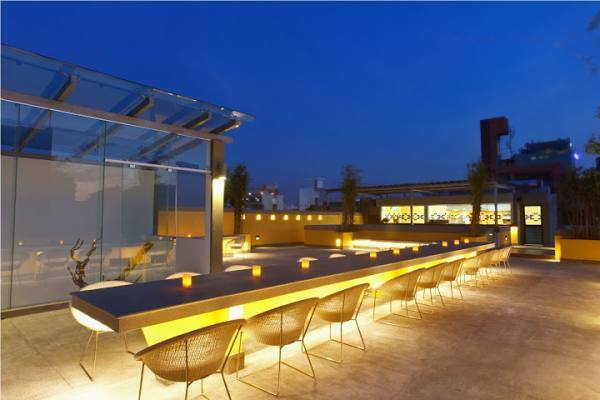 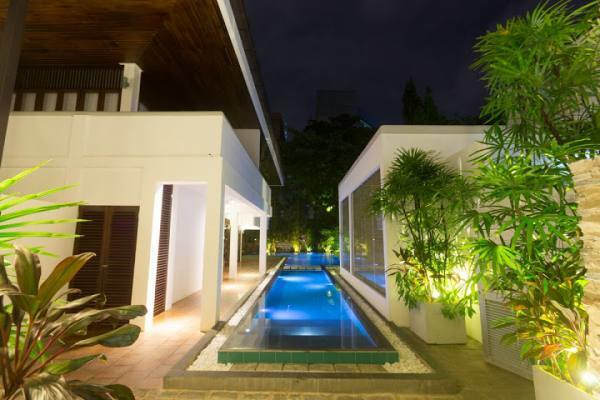 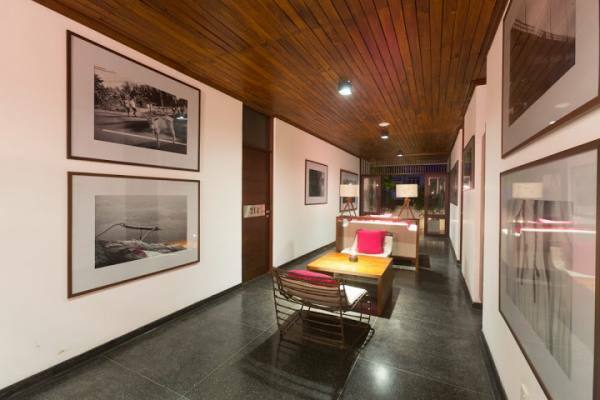 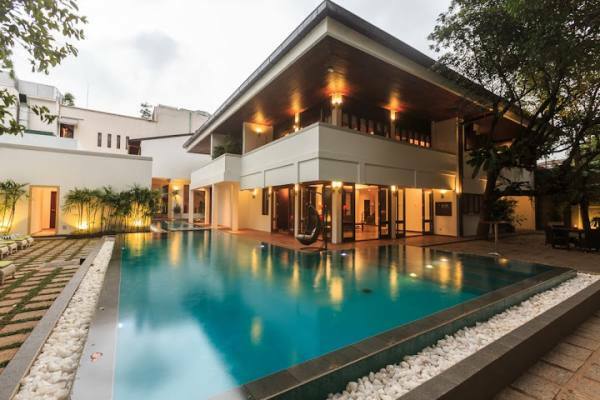 Colombo Courtyard is truly breath of fresh air for the city’s options of accommodation and indulgence. 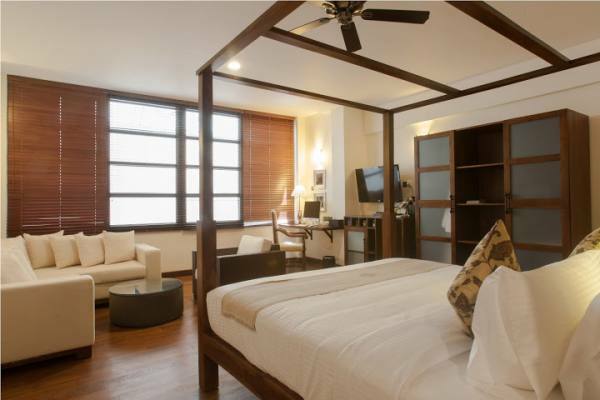 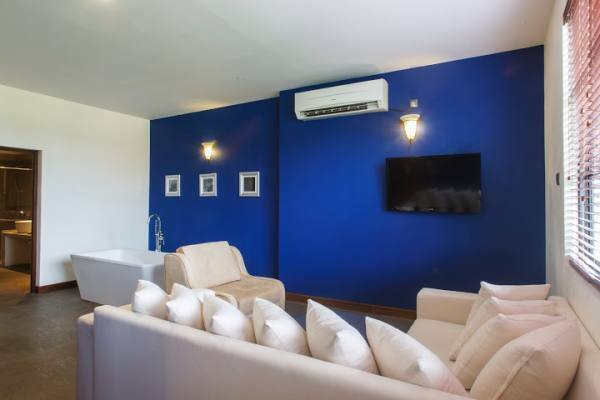 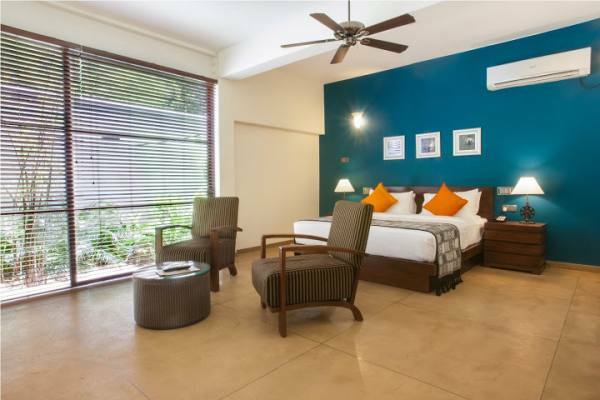 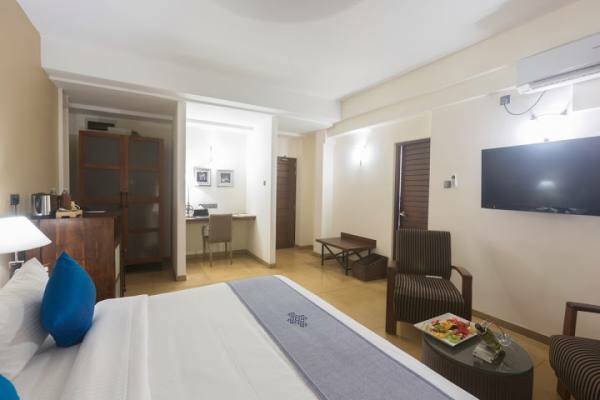 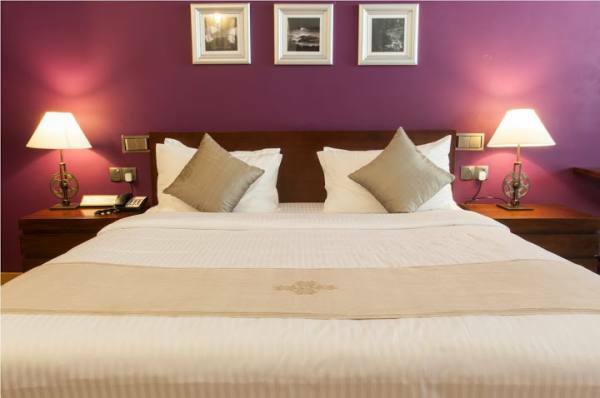 The artistically designed rooms and spacious suites are fitted with all imaginable modern conveniences. 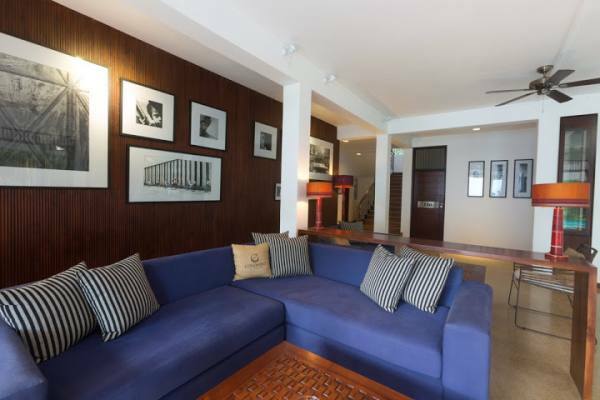 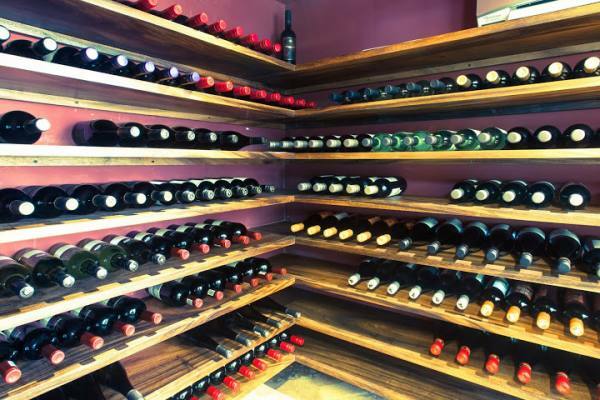 A splash of bright hues of burgundy, green and blue, to create dramatic effect are blended with complementing cement and woodwork. 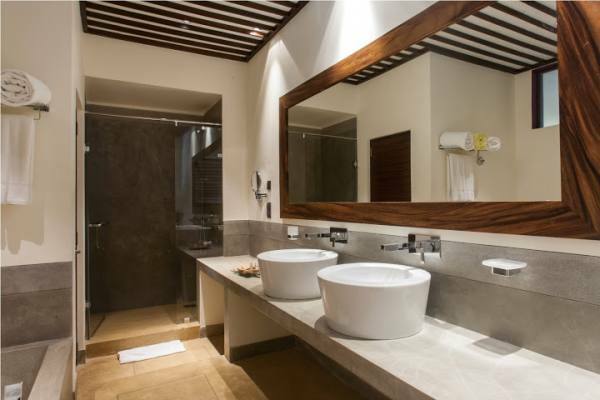 The bathrooms, conceptualized of cement and accentuated by luxurious bath amenities are a statement of style on their own. 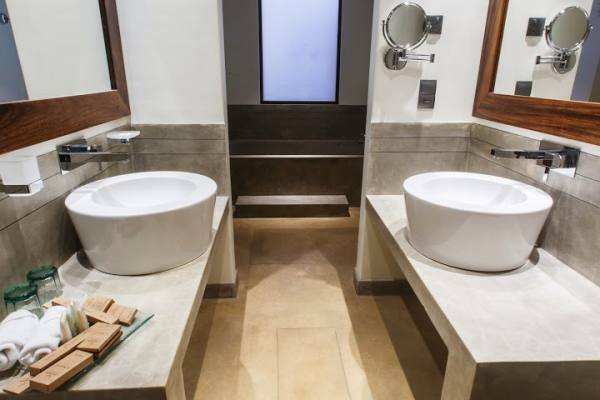 A theme of strong modernity runs through each of these uniquely designed bathrooms. 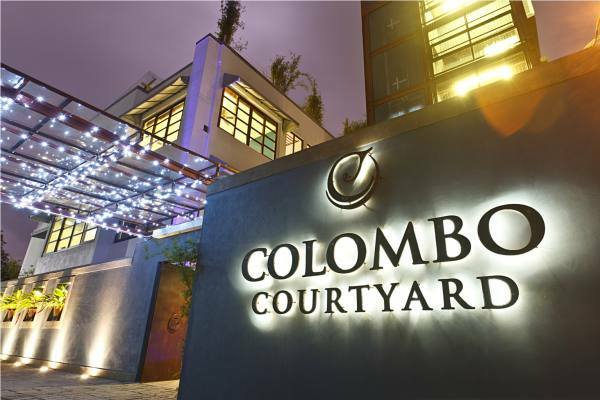 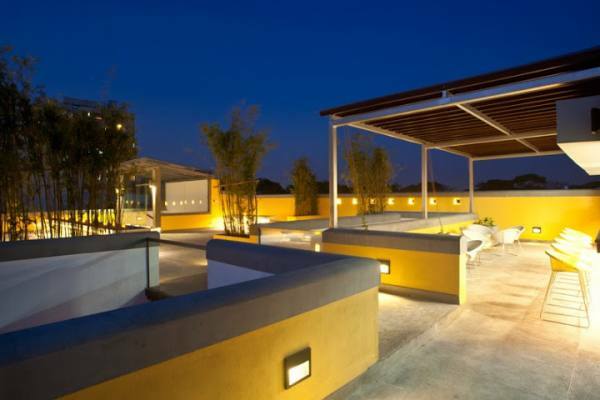 The art and elements embedded in the very design of Colombo Courtyard are truly striking. 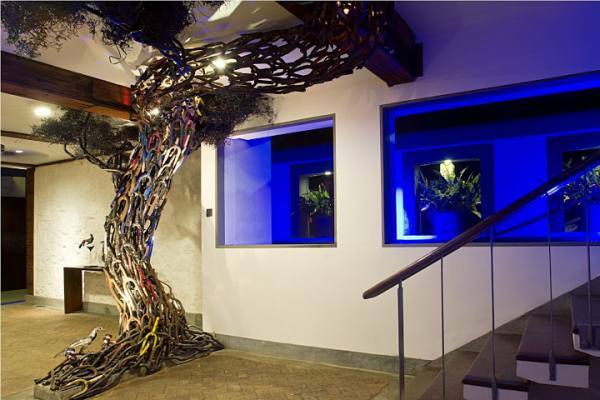 The installation of a giant creeper ingeniously created from a range of bicycle parts winds its way through the three floors of the hotel. 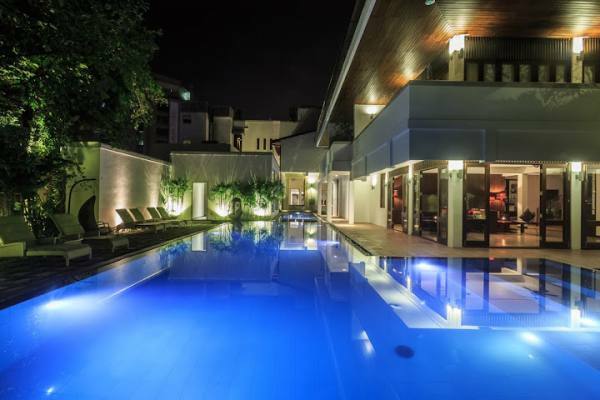 Designed by the local artist Prageeth Manohansa, the creeper forms a central identity of the hotel. 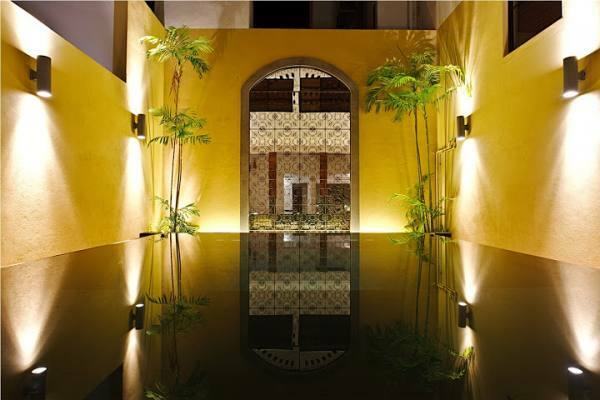 The pool courtyard which immediately transports you to a soothing setting with palms and pebbles is reminiscent of a “little slice of Marrakesh”. 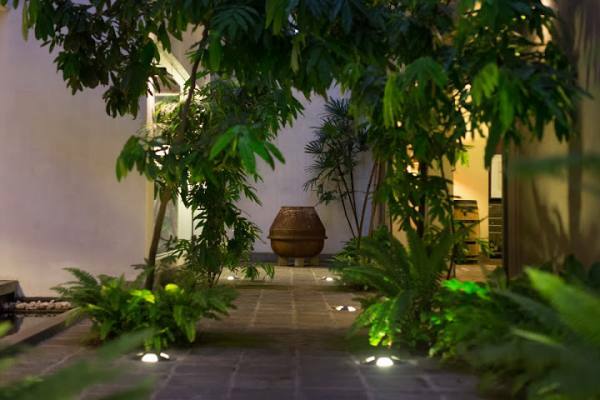 It is exotic, relaxing and dressed up with a touch of glamour with imaginative lanterns. 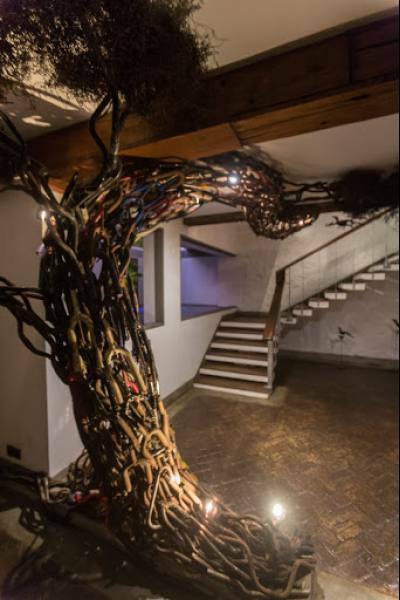 Lampshades made of recycled bicycle and three-wheeler parts created locally and others made of paper, handpicked from cottage industries in Bangalore decorate most every corner. 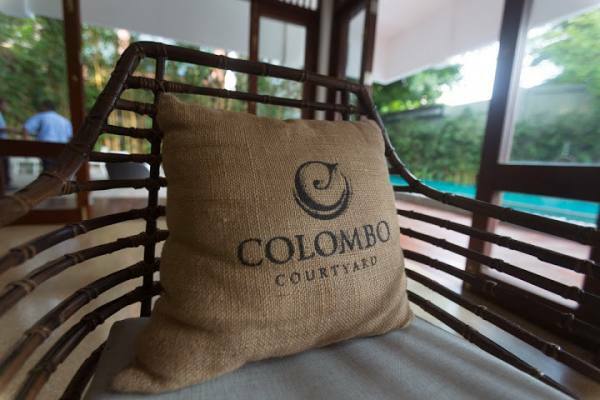 Sturdy chairs of recycled paper from Belgium are just another one of the remarkable accents giving Colombo Courtyard its distinct flavor.